Backbase products are used by people like you and I every single day. What we do impacts the banking experience of millions worldwide. Maintaining and developing our platform requires dedication, ownership and vision. Design and develop web applications using a modern, responsive stack and tooling. Work closely with the product owner, developers and QA engineers to shape the product, analyse requirements and ensure our software is high quality. Ensure our solutions are tested, accessible, extensible, maintainable, secure and perform well. Work with your team and other web developers across the company to continuously improve our approach to front-end development. Mentor other web developers – be an approachable, passionate authority in front-end development and technology. Worked with and/or defined modern tooling; including precompilers (SASS, LESS), code optimisers, linters, etc. 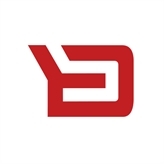 Want to get notified about new jobs at Backbase?